The man Behind the art. In the world of martial arts, finding a good teacher is always a problem. Martial arts involve fighting. Why do we fight? To defend what we perceive is ours(life or possessions) or to show that we are better than the others. Ego is the main driver of every fight and the thing that influences the most, teachers and students alike. There was a time when I was looking for a teacher myself. I was spending my time punching and kicking tree leaves in the park so I desperately needed one. Finding the first teacher actually is like your first real love story. You don’t know what love is anyway. An experienced martial artist, knows what to look for in a teacher, but a beginner doesn’t. You’ve probably seen all the classic movies, you’ve seen tons of MMA, K1 fights and maybe also some real school yard fights. You have friends talking about the issue and most likely you’ve watched many YouTube videos regarding one or another martial art. At this point in your life you think you are pretty knowledgeable and can make a decision and chose the right martial art for you and of course the right teacher. Nothing can be farther from the truth however. When 90% of the students step into the training gym they already “know” what and how they want to learn. They already know what the training should look like and what the teacher should look like. Ironic isn’t it? Like a first year medical student pretending he knows everything about being a doctor based on books and videos and maybe doing some experiments on ants in the backyard. Anyway, at this point everything seems to be easy. We chose based on information we have. Remember however, that martial arts are a collection of universal skills having different names in different cultures. Just because the name is different the actual technique is not. Fighting is universal and doesn’t belong to Chinese or Japanese or other nations. Different styles evolved because of a different historical and cultural context. In my case, I’ve started with judo when I was 12 , because it was the only martial art available at that time in my place. I was a small kid at that time so not much knowledge about anything. However, after I recovered from my accident, I had to make an educated choice again. I was about 18 year old at that time and I had all the information I could get and I was attracted to that Chinese style Bruce Lee was practicing. There was no such thing in my city so I settled to the next best thing in my opinion, Taekwondo. I’d done research, found the best teacher and I got ready for my first training session. With butterflies in my stomach I was on my way to the gym when, by accident, I saw a flyer on a wall advertising for a new Wushu gym. Looked at my watch, saw I had enough time to get there so I instantly forgot about Taekwondo. I was late 5 minutes but the instructor just waved me in and that’s how I started. It was the first and last time I was late for a training session in the next 4 years. That’s the story of my first love. You can call it destiny if you believe in that. That’s how I ended up practicing Wushu and that’s how I met my first teacher. The most important question when choosing an instructor is whether that person can make YOU a better fighter/person at a certain point in your life. Fierce, tatoos, beard, you know… all the things that make a man look like a man( being a little ironic here obviously) , training like a maniac, maybe he’s got many fights under his belt and he is usually using his students as cannon meat. He might be just using you for his own training purposes. Very competitive, usually young, he will hardly accept students to get better than him. He will go crazy if you leave his gym for another gym. But you can learn a lot from this guy provided that you always show him your submissive side. He usually owns one gym and has few dedicated followers but not a big organization. The older version of no 1, dangerous guy because he has the tendency to confuse the gym with the ring or street. He will try to show that he still “has it”. Some of them, who can control their ego, become great teachers because they have the experience and knowledge and can actually make their students grow. In the Wing Chun world he is the one who will show all the new students that he is the boss. Usually by punching them hard during the first lesson just to make things clear. Usually his organization is not very big because he doesn’t have the time, knowledge and the right personality to grow into something bigger. He could however teach you valuable skills if you were able to deal with his personality issues. He is usually half trained in many styles,read everything about Martial Arts, did not have many achievements however, and will give you unwanted advice just to boost his ego. Some of his opinions might be good but nobody likes to be lectured by someone lacking authority or charisma. He is the type looking for recognition and will turn any small achievement into a giant accomplishment. He likes to post online pictures with all the famous masters he had met but he will tend to forget the ones less famous who actually taught him something. He feels like he deserves more respects for what he has done. Never had a fight in his life but teaches self defense. Focuses on every small detail like the position of your pinky finger in relation to your knee, but, this doesn’t come from his practical experience but rather from the experience of his instructor or master. He is actually teaching “folk dances with the appearance of martial arts”. It’s absolutely ok actually, because folk dances are beautiful indeed. They can translate into fighting at a certain point. These people are called fake masters but I think so. As long as they are sincere and do not pretend that they actually teach real fighting everything is ok. Many people learn things just for fun and to socialize so there is nothing wrong in that. You can actually improve your real fighting skills by learning from this person as he might open a new perspective for you. This guy has seen a lot of violence in the streets or in missions so he knows what he is talking about. 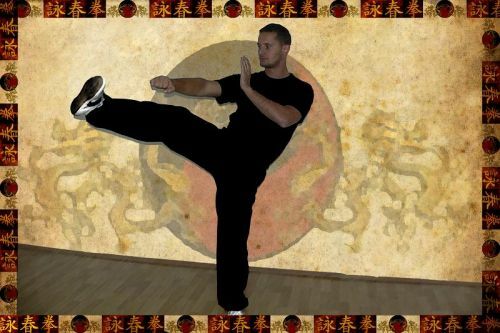 Very knowledgeable, he is able to teach you valuable self defense skills and he knows exactly his value. Due to his experience he is usually a very calm person and not a competitive one. He dislikes violence but has no problem in using it. He usually speaks from his own experience. Based on his own experience he might think he is always right and everybody else is wrong. Everything is business for this guy. He sells diplomas, T-shirts, seminars, online courses, books, Cd’s , he wants his organization to grow and he has marketing strategies targeting different types of people . It’s not bad actually, provided that he is teaching real skills. This might be his only way to pay the bills so making it a business it’s acceptable. 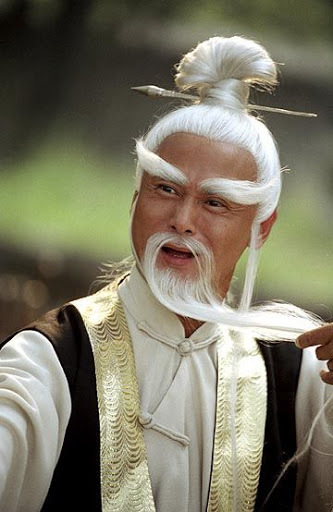 Do not look down upon this guy because not everybody is rich enough to teach Martial Arts for free. This is his full time job and as long as he has a good teaching system in place everything is ok. He usually has got pretty good fighting skills and teaching skills or he is a very charismatic person. The Martial Business is a tough business after all. It’s unbelievable how many people still believe in the no touch knockout, Dim Mak, and other weird techniques . In my experience, I’ve never met anyone capable of demonstrating that on me but I am still waiting. Fantasy movements are absolutely ok in a fantasy world. I met once one guy who had pretty impressive fighting skills and a good method to teach them, but then he told me that in one of his past lives, he had been a giant bug, captain of a starship fleet. I was not living in his imaginary world but in mine and mine did not have bug captains in it. Not that I have anything about past lives though. It’s a true story in case you wonder. This is just a normal guy who has got a passion about a certain art . That passion grew into his life and he became a teacher just because others thought they could learn something from him. He does things out of pure passion and he might not be a great fighter or a great business man. Maybe he had a few fights in the ring and/or on the streets so he has got that personal experience. He is most likely not a professional fighter, doesn’t want to be and usually doesn’t make a living teaching martial arts only. He is the next door type of guy with a passion in his heart. Do not dismiss any of these types because you can learn something from everybody but just try to have a critical mind and try to be a good judge of character. I have the strong belief that everything happens for a reason and that we choose our first style and instructor based on the feeling of connection we might have. It is actually not that important what is the name of your first martial art. Very few of us actually end up marrying our first love anyway. Things in life will change and we change as well. It’s all a matter of perspective. It’s more important to choose wisely the man who will teach us the skill. The person is the one who makes the art alive. Follow you heart and embrace change. After all martial arts teach us a set of skills and there are not too many ways to deliver a punch.